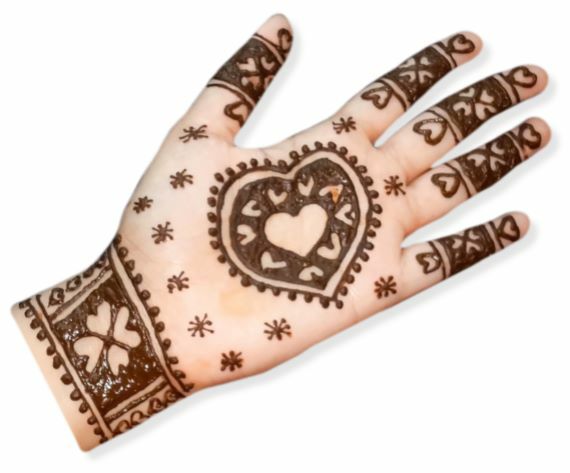 Heart mehndi designs are popular across the world since the age of the Heer & Ranjha. 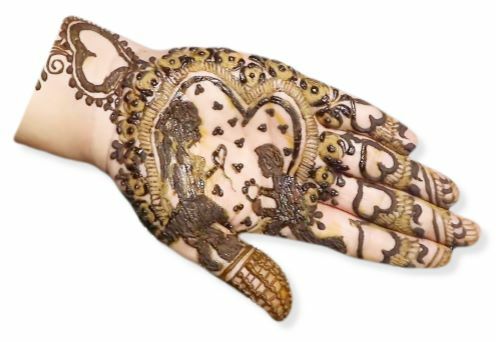 In Heart Mehndi designs, the shape of the heart (dil) is drawn on the front and backhand with the combination of other designs. 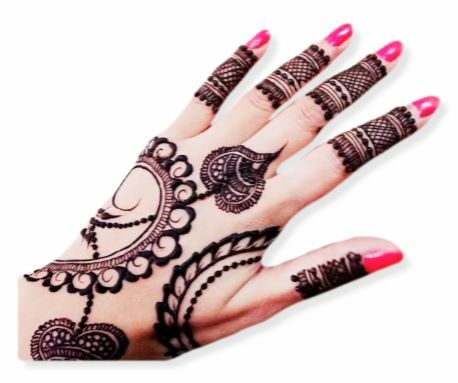 People who are interested in these designs can scroll down to see interesting henna patterns. 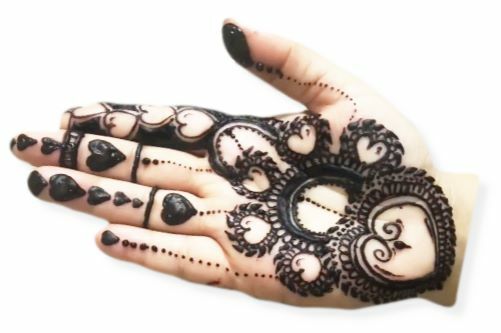 Arabic mehndi form the area of Arab is often seen on the wedding, kitty parties, festivals and other special occasions. 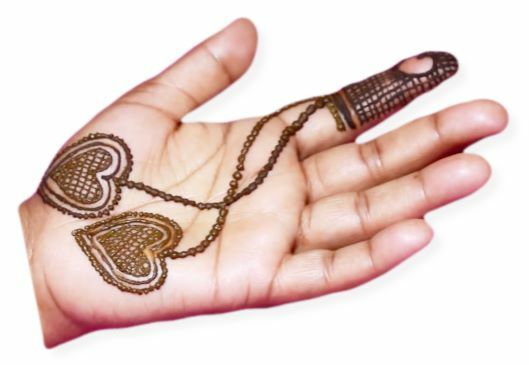 This is the combination of Arabic and heart henna. 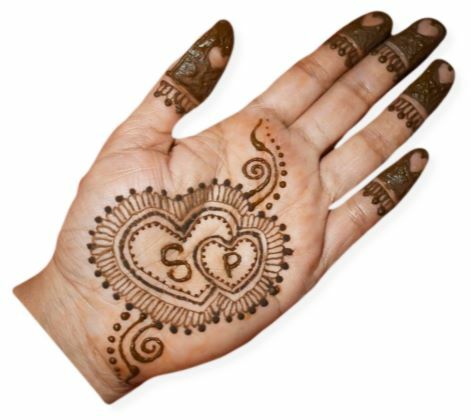 There is a blank heart on the backhand and around it, a pattern is drawn to glow the empty heart. 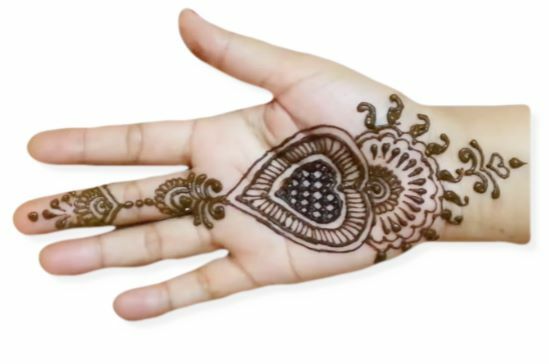 Small heart on the fingers completes the whole design. A large strip is going through palm and being hidden in the wrist. It contains a heart, moon, flowers on the boundary, it looks like a garland is wrapped. 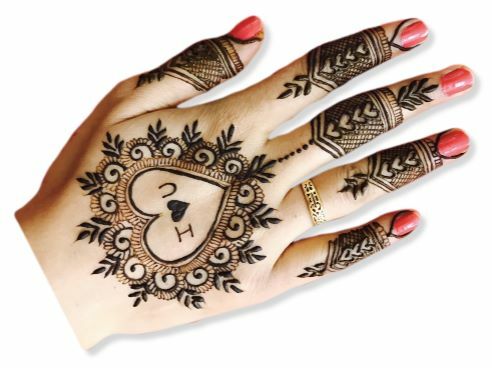 For the wedding occasion, this is a very nice Heart Henna design. 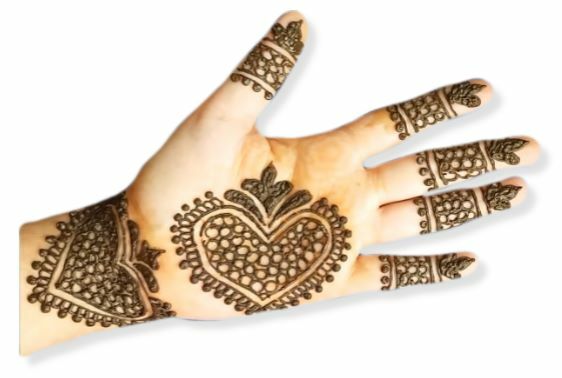 This design has a heart on the palm and a bangle mehndi pattern on the wrist. You must have seen two hearts tied with the rosary from the first finger. 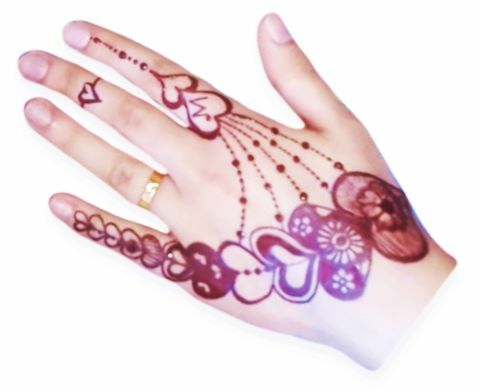 I think this design is very easy to make, So if you like then try it. 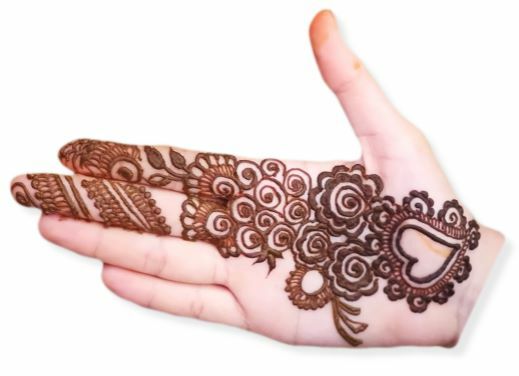 This is a Valentine Day mehndi pattern contain a series of hearts drawn in the ascending order. It will match with any dress you loved like, Jeans, Top, Sari, Lehnga etc. 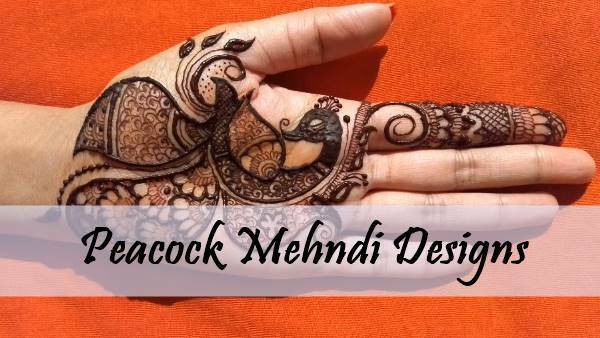 This mehndi design will definitely touch your heart. A boy in this design purposing a girl that holds a heart in the hand. You can try this on special occasions or dates with your boyfriend. 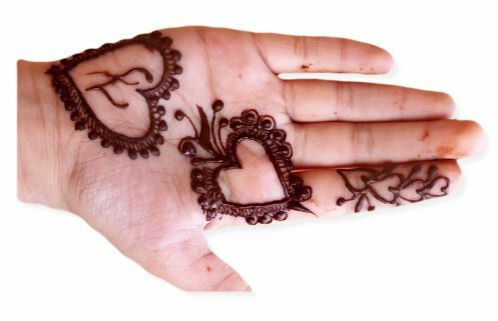 This is a front hand design of Heart henna, it is not perfect, but you will definitely make it perfect on your hands. There is a heart on the wrist too. There are many hearts in this design and looks likes a tattoo. There are empty hearts on the first finger and filled hearts with the rest fingers. 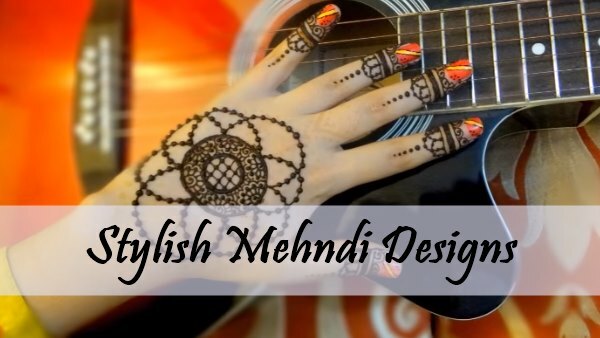 Those who are looking for the design of I love you Mehndi will certainly love it. If you want to express your love without saying anything, then just go with this. 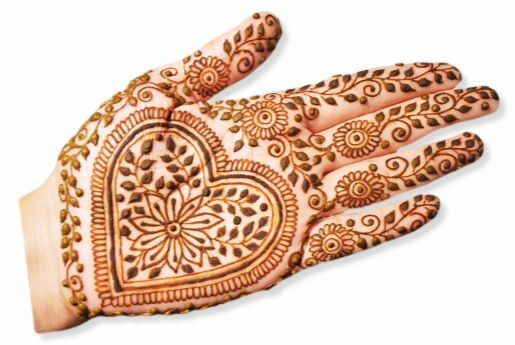 For the Indian Mehndi lovers, we will bring with the heart design. On the occasion of marriage or festivals like Diwali, Karvachoth and Rangoli you can try it anywhere. 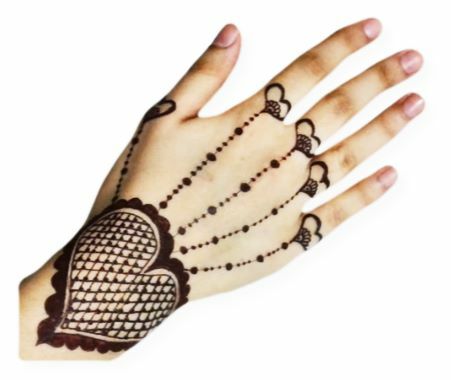 Those who like Jewellery Henna Patterns, definitely love this heart Jewellery pattern. In this design, a fine combination of heart and jewellery is drawn. Some people always need something new, they will definitely satisfy with this design. 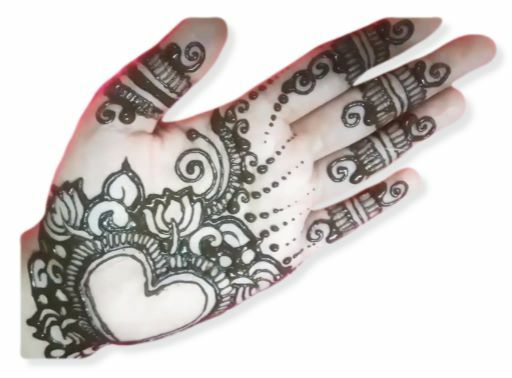 It is the combination of heart and flower henna patterns. Love is a union of two hearts and this design is also giving a message to increase love. You can choose this design to impress your partner. This design is for new-age thinking people and if you are one of them you can try it. There are three patterns in this design and each contains a heart. Famous words "Simplicity remain always in fashion" means, We try anything we will come back to simple things. If you like simple things, then you will surely like this one. 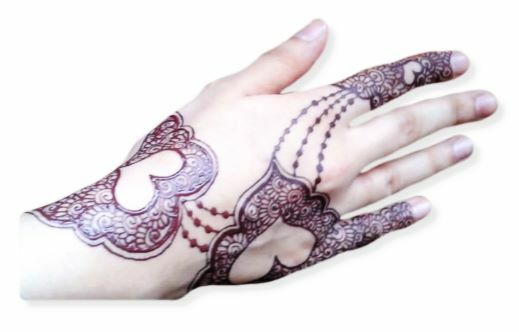 It is two hearted henna design and easy to draw. 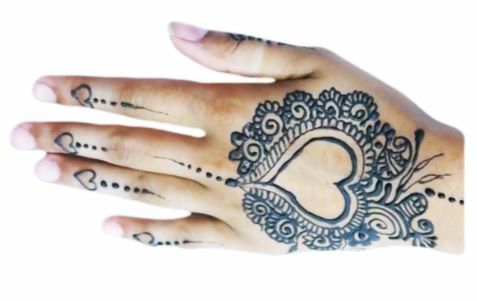 The pattern formed inside the hearts and on the finger is tempting us. 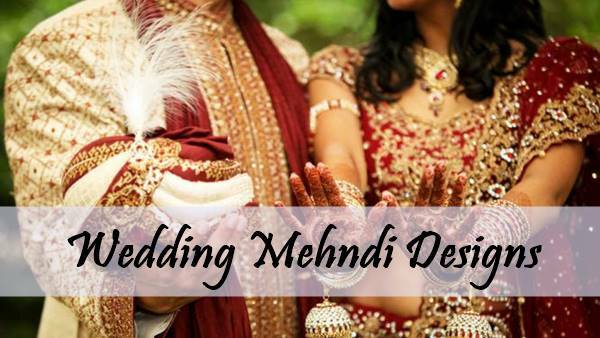 Marwari mehndi is famous across the South-Asian countries like India, Pakistan, Nepal etc. This design has originated from Marwar which is a place in the Rajasthan, India. 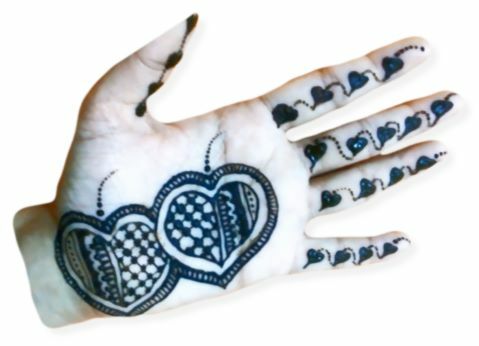 Mehndi's design of two hearts is also quite popular. In this design, you can write the first letter of yourself and your partner's name. 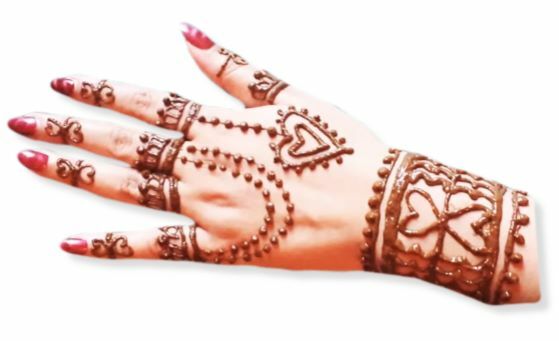 As you can see, this design will look absolutely perfect on the bride's hand. 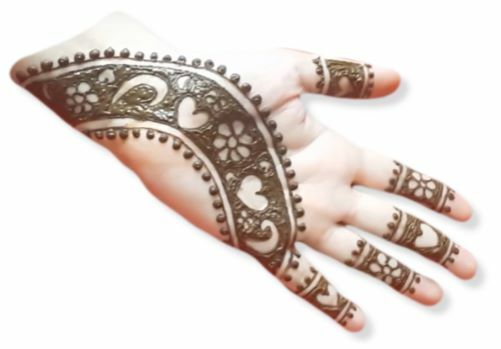 Bangle Mehndi is also added to this design. This design is definitely going to attract a lot of people. 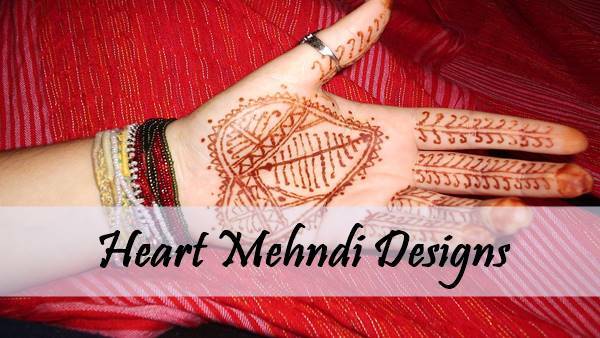 We hope you like these heart mehndi designs and demand us for more designs like these. We will definitely bring you a lot of designs like these.